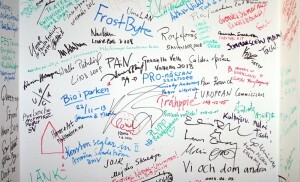 What was the most important component of creating the European Capital of Culture Year? Fredrik Lindegren, artistic director, gives his reply to this question and explains why the approach he chose was so self-evident, even when faced with obstacles. So the method used for Umeå2014 was co-creation. But what does that actually mean? ”It’s simple,” says Fredrik Lindegren. ”Co-creation is when people create an experience together. One example is reading a book; that makes the reader a co-creator of the author’s work. Building up a programme with hundreds of players who decide for themselves what they are going to do is another example. The artists and organisers always had artistic freedom. Of course, there was also a framework, for instance, there had to be an organisation and preferably a European slant but co-creation is based on freedom. You can’t say ”We’re going to create this together but we’re going to do it like this” because then it all falls apart straight away,” Fredrik Lindegren explains. This approach has been both praised and criticised. At one of the meetings with the jury who was to decide who was going to win the title, sharp criticism was directed at co-creation and its advocates. The route Umeå had chosen to follow was deemed to be impossible since the quality of the works of culture would be too low. No Capital of Culture had ever worked in that way before and the method was seen as being risky. But we knew good quality would be assured. We had made our decision and we were certain we had made the right choice,” says Fredrik Lindegren. In other words, the method was a success in the end but it wasn’t without friction. On the home front, the European Capital of Culture Year was hotly debated in the local press, comments boxes and during coffee breaks. ”A European Capital of Culture Year must include lively discussions; that’s a sign that people are interested and want to be involved. 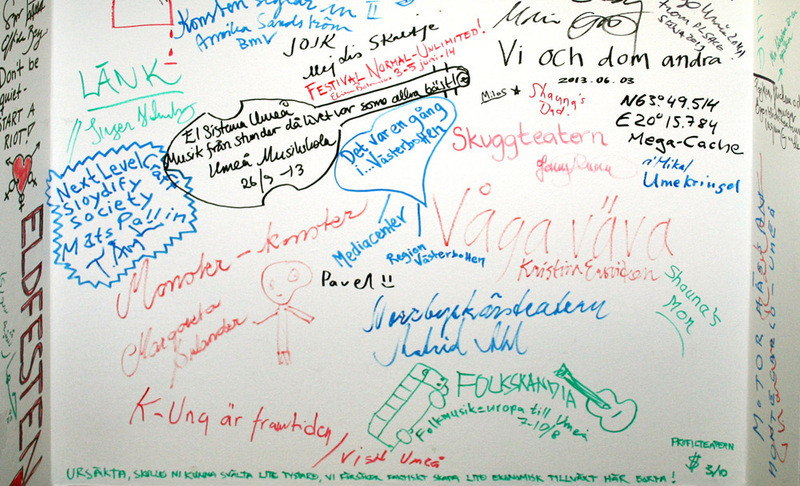 The debate on the Umeå2014 project touched on everything from city planning and performing arts to growth. Open Source is a term from the computing world that gives developers the free use of the code of a programme, thereby pushing development forward. In a cultural context, this is a question of who is in control of the right to ”culture”. Who is allowed to use the term and who is not allowed? 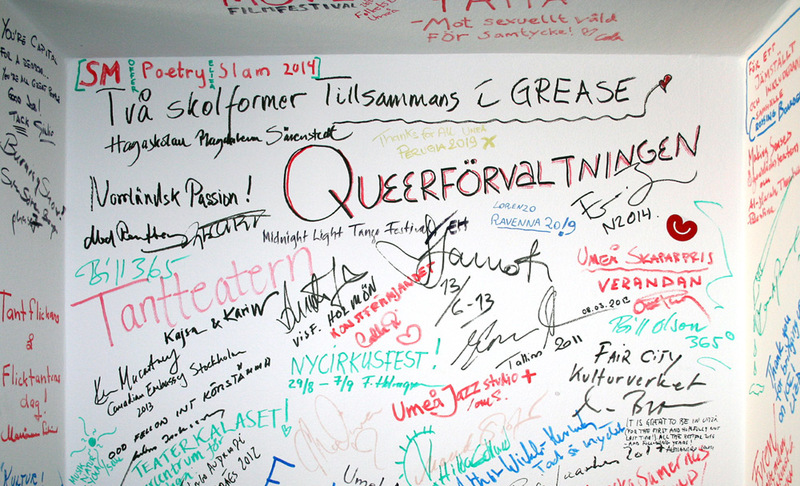 In Umeå’s application to become a European Capital of Culture, Open Source was an important principle that was given concrete expression in co-creation. 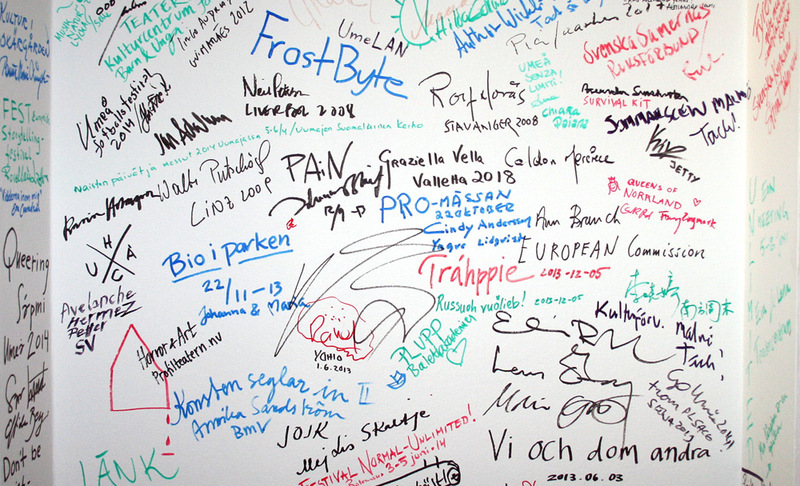 ”Open Source means that everyone who wants to participate is able to do so. We can ask ourselves whether there are people who think they ”own” matters of culture more than others do? In that case, the possibility of working in a co-creative way is eradicated. So what will happen with Umeå and the northern cell now that the Capital of Culture title has moved on and co-creation is no longer such a explicit concept? ”Being a player in the world of culture is often tough – you have big ambitions but small resources. 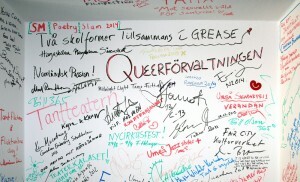 But nevertheless I believe that cultural associations have better preconditions in Umeå than in many other cities. 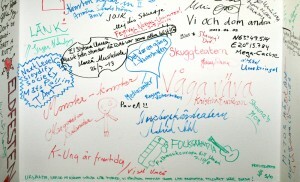 Many of the associations in Umeå have existed for a long time and that shows that they are viable and robust. But it’s also important that new groups are formed; there must be space and resources for them too. ”The municipal structure must support but not control. I think that after the European Capital of Culture Year, there is more scope now for Umeå to become an even more pronounced city of culture and I hope that will strengthen our cultural scene even more in the long term. 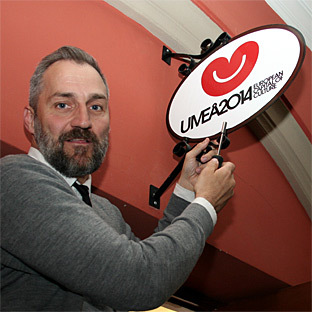 Pictures: Fredrik Lindegren ”takes down the sign” at the Umeå2014 office and the office’s ”Wall of Fame” with many of the Capital of Culture projects. Photo: Robert Rösth.